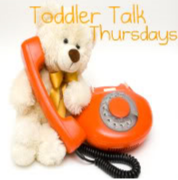 I'm participating in this week's Toddler Talk Thursday hosted by Family and Life in Las Vegas, Crazy about my Baybah, and My Life as a Sippy Cup Mom. This week's topic is... How do you keep your toddler entertained in difficult situations – grocery store, doctors office, etc? I consider my iPhone as the big guns when it comes to entertaining my toddler. I recently had another baby and big sister was as good as gold during my doctors visits. Once we were in the exam room, Tink was allowed to watch Mickey Mouse Clubhouse. She also has tons of apps and can run most of them herself. I try not to go straight to the phone so our bag is stocked with other toddler favorites: snacks, stickers, and crayons. With my girl, a plastic bracelet or Minnie Mouse ring can buy a fair amount of time. One of our family's favorites is the Fisher-Price Kid-Tough Mini Doodler . I orginally bought one for a flight to Walt Disney World but it fits well in a diaper bag and is really durable so we take it everywhere. Tink likes for us to draw her pictures and we use it to practice letters and numbers. This one has been invaluable while waiting in restaurants. Now that we are wrangling two little ones when we go out, I also pack one of the "coloring books" with the water marker. Tink can color but if we look away for a moment, she can't color all over the place and make a mess. My suggestion for a future topic is, what else, travel. 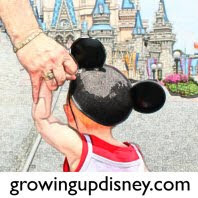 What tips do other parents have for car travel with kiddos? Thank you to the hosts and to all the parents sharing their ideas! Luke would love that mini-doodler! That would be great for in the car too! Great idea with the doodle pad! We have a couple, but I never thought of using it to practice letters! The magna doodle has been great.. but stickers, dvd players, and snacks make the rest of the trip better.. I always bring tons of books and snacks on the flight.. and with a boy? cars. I am going to have to look for one of those doodlers. I think my daughter would love it! The Mini-Doodler is a GREAT idea! I need to get one of those! Excellent idea. We got something similar for our flight to Disney.